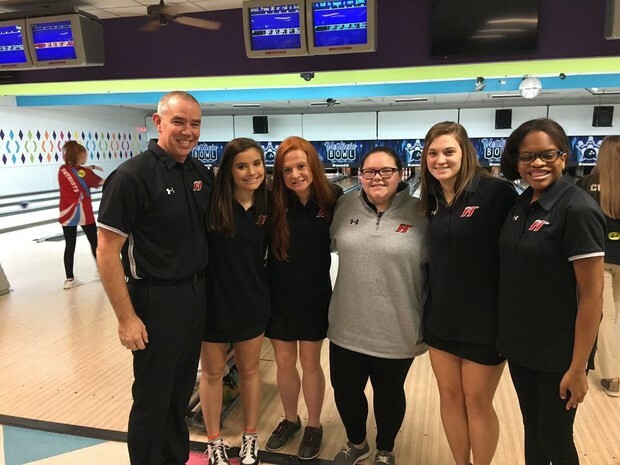 TRUSSVILLE — Both boys and girls bowling teams for Hewitt-Trussville qualified for the state championship, which will be held at Oak Mountain Lanes in Pelham on Jan. 24 and 25. On Thursday, all 16 teams will bowl to determine seeding, and the following day the teams will compete in head to head matches to advance through the bracket. At the AHSAA North Regionals, the boys finished second overall. The Huskies were the top seed after qualifying and met #16 seed Pinson Valley in the opening round. The Huskies secured their spot in the state final with a 1576-1005 win over the Indians. Jordan Faggard led the way as he bowled a 236. In the quarterfinal round, Hewitt-Trussville defeated eighth seeded Hillcrest-Tuscaloosa 1469-1223. Cole McCarty led the way with a 233. In the semifinals, the Huskies faced fifth seeded Gadsden City and defeated them with a 1582-1412 win. In the final round, the Huskies came up short, falling to East Limestone 1603-1489. The girls team entered as the 10th seed in the regional bracket. 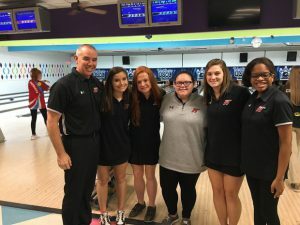 In the opening round, the Huskies started strong and upset seventh seeded Hazel Green by the score of 1041-961 to advance to the state tournament. Taniya Horton led the way as she bowled a 188. In the quarterfinal matchup, the Huskies fell to defending state champion Southside-Gadsden 1,311-1,021. Husky girls’ bowling team all smiles after qualifying for the state championship tournament.